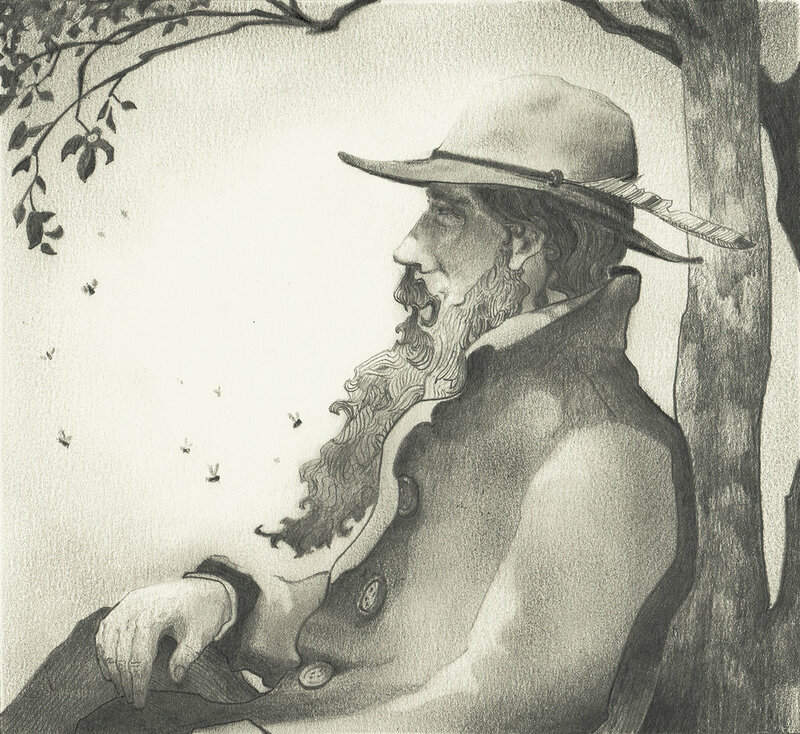 The Gallery at Arundel Books is currently hosting a show of Brian Dempsey’s drawings and prints, including work from his upcoming children's book, The Man with Bees in His Beard. The show will run through September 2. Dempsey’s artwork uncovers the magical beauty of the everyday, where simple moments become scenes of dream-like beauty and quiet energy. He invites viewers into reflection, contemplation, and tranquility. Want to learn more about Dempsey and The Man with Bees in His Beard? Visit: http://www.chatwinbooks.com/shop/the-man-with-bees-in-his-beard. Enfleurage at The Hidden Alchemist in Pioneer Square. It looks like magic. Passers-by stand and watch the slow drip-drip-drip of the tinctures being made. The glass assemblages called 'enfleurage' are the most striking feature of The Hidden Alchemist in Seattle’s historic Pioneer Square. It looks like something out of a movie, but it’s a lot more than that. The apparatus is singularly pre-industrial, with the grace of a pre-Enlightenment chemistry lab. Behind it are bottles containing dried herbs and teas on amber-lit shelving, while smaller tincture bottles and ointment jars adorn the various tables and shelves. 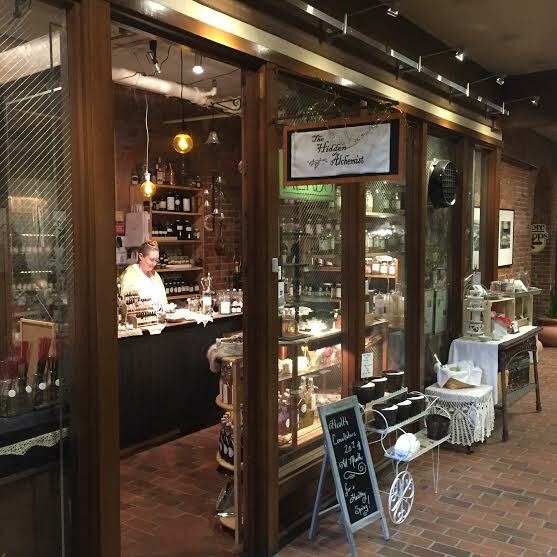 The Hidden Alchemist is an atypical business, but it is exactly the kind of place one might expect to find in the byzantine basements of the Grand Central Arcade in Downtown Seattle. Intermixed with the herbs, tinctures, salves and remedies are stacks of literature informing the reason and purposes for each article of flora used to sustain human health and well-being. This was the beginning of a seven year apprenticeship with Marianne Sarella. Sarella primarily worked out of books passed down through the matriline of her family, extending back some 500 years. As Sunny tells it, Sarella told her that these books (and the women who wrote them) managed to avoid being burned for witchcraft during the Inquisition. Each generation of women would write a new book, adding their native knowledge, and the oldest of these is illegible. Sarella never let Sunny take notes, insisting that she learn the recipes by heart. “The one recipe she did give me was Thieves Oil,” Sunny admits. She goes on to explain that Thieves Oil is an anti-microbial oil innovated for grave robbing and plague pillaging during the Middle Ages, and that thieves would cover themselves in it to protect against the “humors” (smells) of diseases associated with the dead and dying. Just over a century ago, apothecaries and herbalists were everywhere. Now it is a rare opportunity to be able to visit one. An apothecary was the first line of defense against ailments, prescribing herbal compounds that are the foundation of modern pharmacology. These herbs are not patented, nor do they have fancy names, pretty models or commercial spots on television suggesting you speak to your doctor about their efficacy. Many of Sunny’s customers rely on her compounds, tinctures, creams, and ointments to help maintain their health. In the context of a national discussion over medical costs, cost-effective alternatives to Big Pharma are worth investigating. Sunny knows this, though she distinguishes herself from modern pharmacists as a promoter of overall health, rather than a provider of treatment for illnesses. There are two important distinctions between traditional medicines and modern pharmacology: the specificity of a drug’s effect, and the premium charged for it. “All of these things can work harmoniously together if we let them,” she concludes. Sunny at The Hidden Alchemist in Pioneer Square. Sunny released her first book, For Love of Lavender, with Chatwin in 2015. The book pays homage to a commonly available herb that anyone can incorporate into their home medicine cabinet and kitchen. According to Sunny, for 90% of people, lavender acts as a nervous system calmative. In a country where caffeine intake is very high, lavender has the ability to deploy a neurological parachute, saving our caffeine-sensitive biology from burn-out. Sometimes these little fixes and adjustments can have larger impacts on overall well-being than we expect. Her next book will begin a series with Chatwin Books Publishers, tentatively entitled “The Practical Herbalist,” and will begin with home recipes for salves and oils. The following book will be devoted to tinctures. The third will focus on growing your own herb garden in limited areas, such as an apartment. She also plans to produce a volume devoted to herbs for pregnancy. As of May 20th, 2016, The Hidden Alchemist will close its doors in Pioneer Square. The Hidden Alchemist will be moving to a new location in Seattle’s Chinatown district. The new location is yet to be determined, but it is expected to open by the beginning of August, 2016. The online end of the business, however, will continue during the transitional period. If you’d like to visit The Hidden Alchemist in its current incarnation, they will be open through May 20th. In July they will be exhibiting at the Lavender Festival in Sequim, and should be opening in their new space in late Summer. In between, you can visit online for delivery by mail. It’s a typical overcast afternoon in downtown Seattle, and Candace Doyal is sorting through old letters that her mother sent from prison. She lets me read through the letters with her, mostly hand-written on legal pad, all with envelopes stamped “State Prison” in red. Doyal culled through them, stacking the letters in two piles, one of which will be considered for her debut photography and prose book, This Thing Is About to End, on addiction, prison, and family. Her lips tighten and eyes mist over from time to time. Words like “disappointment” and “love” emerge as recurring themes. Each is full of promises, many are full of regrets. The letters were sent between 1984 and 2001 while her mother was serving some 15-20 separate prison terms, usually for drugs, sometimes fraud. The tone of the letters contain that deep yearning for her distant child. Exhausted, we return the letters to their reliquary storage box. Doyal, 33, is a photographer and storyteller, as well as part-time bartender, painter, and arborist. She has had a camera around her neck since she was 17. Her photography is a combination of staged scenes and portraiture. “[They’re] images from growing up that have been seared in my mind,” she points out as we thumb through work for the book. A woman sitting reflectively in a prison cell. A bleary-eyed junkie posing on a bed. On the back of the images are raw and plainly written prose that caption each photo like the lonesome wail of a dog barking in the distance. She is a fan of Bukowski, and like him, anyone can pick up her work and feel it. Programs like these are deeply impactful, and those who manage to get into them rarely suffer from recidivism. Doyal’s mother never went through such a program. As a result, she repeatedly returned to prison, leaving her daughter to be raised by her grandparents and surrounding community. Still, the letters arrived in her mailbox from her lonely, struggling mother. Throughout our interview, I keep seeing her dip into pools of painful emotions, then reach up and out beyond the shadowy canopy into sunlight. “It’s also about having faith – and I’m not talking about religion,” she smiles. Despite the almost complete absence of her mom, Doyal was bolstered by her community and bears the mark of the many gifts of generosity that have been the guiding stars of her life. In 2001, Doyal’s mother was released from prison for the last time. After years of letters, prison visits, and continual recidivism, Candace finally got to spend one-on-one time with her mother. She describes the time as cathartic and deeply rewarding. It went on for two months. “We experienced a lot in a short amount of time.” Then, her mom stopped answering calls. When the calls remained unanswered, Candace went over to her mom’s trailer to check on her. Her car was in the driveway, and she could hear the phone ringing inside. Breaking into the trailer with a screwdriver, she immediately saw an arm dangling over the bed. Her mom had died of an unknown cause—the investigation is still “pending”. She was just 40; Candace was 19. This moment underscored a deep pain that has driven Candace to create work that addresses the many questions surrounding her mom, principally the nature of addiction, what society is doing about it, and what can we personally do about it. Mitch Hedberg once joked that alcoholism was the one disease you could get yelled at for having—the same could be said for any addiction. Doyal’s work provides occasion for the viewer to think and feel about how families, and specifically children, are affected by the criminalization of addiction. Less than outright policy change, the work by its very nature can serve to inspire a timely and productive conversation about how we approach the treatment of addiction. This is part 2 of the first in our "At a Glance" series of interviews with members of Chatwin's creative community, by Ari Herman. Photos by Candace Doyal. This is part 1 of the first in our "At a Glance" series of interviews with members of Chatwin's creative community, by Ari Herman. Photos by Candace Doyal.